The Oscars are televised live in more than 225 countries and territories worldwide. It’s that time of the year when filmmakers scramble for recognition for the film industry’s highest accolade — an Oscar. The Academy of Motion Picture Arts and Sciences, the Oscars governing body, has just announced its submission deadlines for 91st Academy Awards consideration. To be considered for individual categories such as for animated, documentaries, foreign language films and short films, the deadline to submit materials to the organization is Monday, October 1. By Thursday, November 15, general entry categories (including Best Picture), music score and song should be received. Movie contenders for this years Oscars include Barry Jenkins new film “If Beale Street Could Talk” and George Tillman Jr’s “The Hate U Give” Jenkins last film “Moonlight” won Best Film at the 89th Oscars. 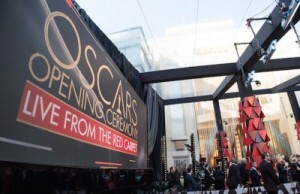 The 91st Oscars will be held on Sunday, February 24, 2019, at the Dolby Theatre at Hollywood & Highland Center in Hollywood, and will be .televised live by the ABC Television Network. The Oscars also will be televised live in more than 225 countries and territories worldwide.